No, the Apocalypse is not the end of things; it’s a part of creation and an immanent process in the eternal cycle of becoming and ceasing to be. There is no evolutionary ‘thread’ that leads us to believe in redemption. 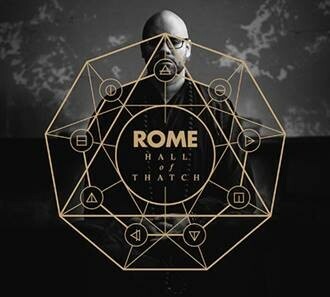 Even though on ‘Hall of Thatch’, Jérôme Reuter - alias ROME - initially only confronts us with voice and acoustic guitar, one thing is clear from the first note: This is the beginning of something new. Like some dark, powerful storm, the album’s sound draws over the threshold of our perception. Rome much like Vergil, who as with Dante, takes the listener by the hand and leads him through the spheres of our base existence. Terms such as paradise, hell and purgatory, however, would be much too banal to describe the abysses of the present day. ‘Hall of Thatch’ has an enormous impact. There's a history to ‘Hall of Thatch’, however. Some years go, Jérôme Reuter set off for Vietnam. The country, its history, the culture and its relationship to Buddhism fascinated him just as much as the lifestyle of the people, who really did experience the Apocalypse half a century ago. At regular intervals, he played concerts at the most south-easterly point of the Asian mainland, and afterwards travelled across the land by moped. He himself called it his field recording trip. 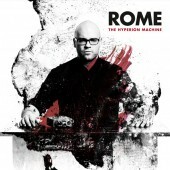 Many of these chants and prayers found their way onto the album, forming the framework for ROME's new songs. Bang! A statement like a meteorite whose impact envelopes the Earth in darkness. 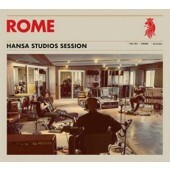 The album is not supposed to be an escape, emphasises Reuter. 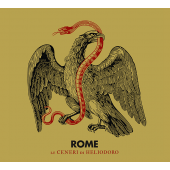 Nevertheless, or perhaps because of this, ROME becomes a phoenix. By withdrawing into himself, he is able to describe his own resurrection. This moment is what imbues this album with its power, splendour and grandeur. The songs feel like a tautened bow that is waiting to fire the arrow. That may appear to be a contradiction in itself, but it’s not the only paradox on this record. The Luxembourger Reuter outed himself as a staunch European long ago. But ‘Hall of Thatch’ is the most American of his albums to date, although this Americanness can in turn be seen as being very European. The CD characterises a provisional end point in ROME’s development curve, yet at the same time forms a basis for the future. The songs are charismatic without being missionary. In the manner of depth analysis, they sing of the state of our times, yet set themselves up as neither the rescuer nor herald of worlds. They are infernal, yet at the same time very intimate and vulnerable. However, Jérôme Reuter manages this without any kind of Ecce homo posing. Ultimately, it’s - once again - the stringent yet equally gripping work of a musician who always develops from album to album. He therefore has the courage to say, “The album is what it is. What emerges from it is presumambly... Nothing. I’ve said what I had to say and that’s all there is to it.” An exceedingly apt conclusion befitting an album that nods towards Buddhism yet displays Gregorian features.